Keeps expensive equipment and supplies protected and mobile! Valuable equipment needs protection. 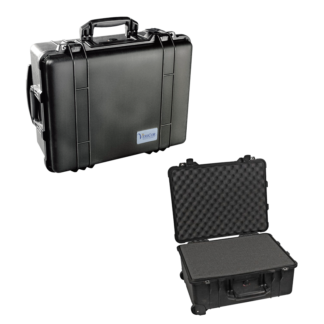 VeriCor cases are rugged enough to handle the worst of a disaster. Extreme cold, high heat, lots of water…these cases survive. Made in the USA, these tough cases are designed with an automatic purge valve, that equalizes air pressure, a watertight silicone O-ring lid, over-molded rubber handles and stainless steel hardware. Click on any of the products below for more information. But if you need help finding the right solution, call 866-469-6019 or send an email to info@vericormed.com.